Next week will be my 3-year anniversary in my role at SAP. It’s been an incredible journey and I’m so excited to reach this milestone. I found that landing my dream job was a lot of hard work. In the beginning, it felt like a never-ending repetition of scrolling through open jobs and sending my CV out to dozens of companies. It was tiresome, competitive, and emotionally exhausting. 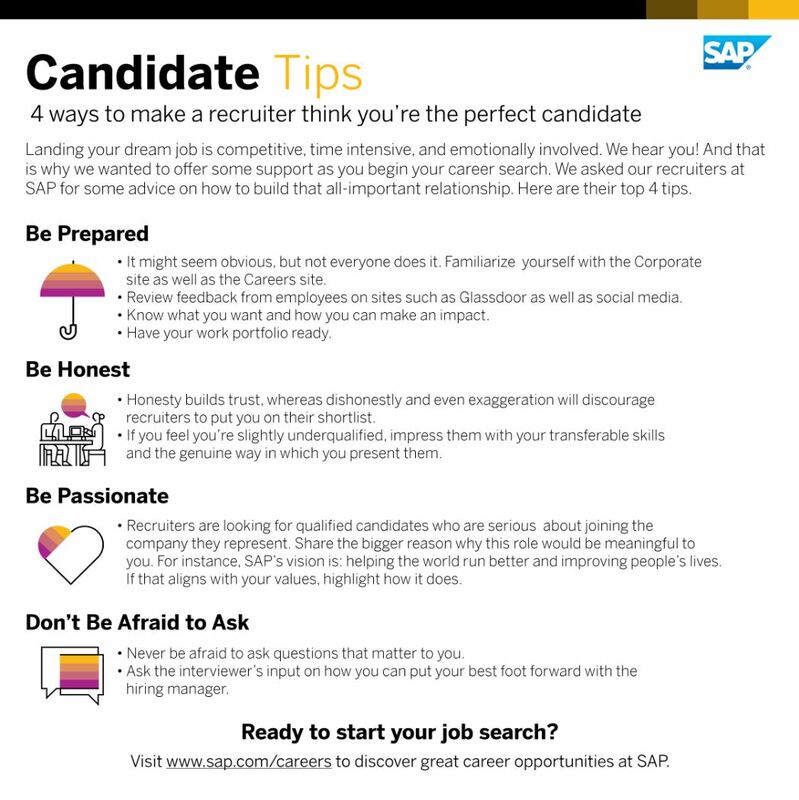 But when an SAP recruiter finally reached out to me asking for an interview, it was such an uplifting feeling! But this opened up another nerve-racking aspect in the job hunt experience: the first impression. Whether it’s over the telephone or in person, your first interview with the recruiter or hiring manager will be a crucial step in whether or not you make it or break it when trying to get your foot into your anticipated organization. So, having been through all that myself, I wanted to share some tips on what you can do to help make recruiters think you are a great candidate when you finally meet each other during your interview!